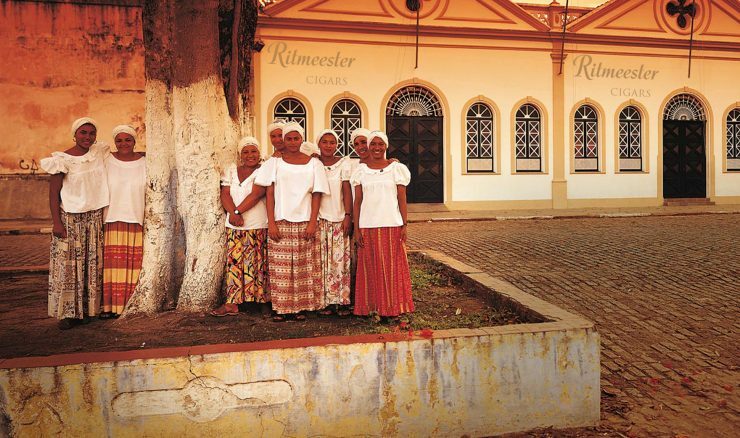 RITMEESTER has a long tradition as an international Manufacturer of cigars and cigarillos. In 1887 Jochem van Schuppen and Marinus van Schuppen founded his own cigar factory in Veenendaal, which in 1915 was renamed into RITMEESTER. As the Dutch were busy expanding their colonies and with their quick sense of business, they soon discovered that tobacco was best cultivated in areas below the equator, with very high temperatures, high humidity and preferably on lava soil. Lava soil and fat clay soil are prominent for tobacco growing. Lava soil is predominantly found in Indonesia. Clay soil is common in Brazil, Cuba and the Caribbean. In 1998, this original cigar-making manufacturer became part of the international corporation DANNEMANN, with a marketing and sales office in ‘s-Hertogenbosch. Our premium cigars and cigarillos are now produced and processed in several countries and are sold in over 60 countries throughout the world. Today, the RITMEESTER name is synonymous with uncompromising quality – “From Seed to Smoke”. This total commitment to quality and smoking pleasure is the basis of our success. Yet, experience and innovation are equally important in the crafting of contemporary cigarillos.